We launched a new action for media page for Mikey Wax‘s new release Constant Motion. To get a free download you can either Like on Facebook, tweet a predefined tweet, or join the mailing list. 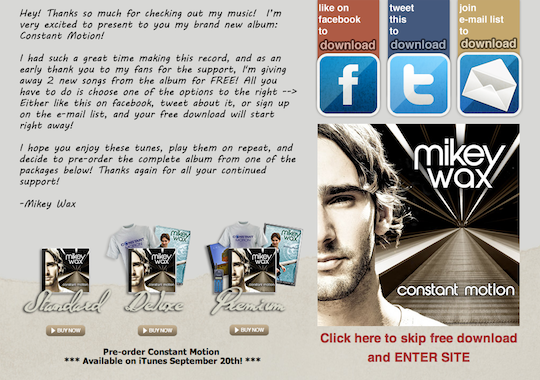 Check it out for yourself and download at mikeywax.com/constantmotion!